SpatialSci - Science Goes Spatial! The mission of SpatialSci is to provide educators with a sustained environment for the integration of geo-technologies into classroom instruction. From relevant spatial data sets to GIS-based curriculum, SpatialSci is a one stop shop for teachers committed to implementing geo-technologies into K-12 classroom instruction. Geo-technologies are used daily in so many aspects of human activity that many predict it will one day be a required basic skill set just as word processing is today (Alibrandi, 2003). If you have ever pulled a travel map off the internet, you have used GIS. If you watched last night’s weather report, you viewed a geographic information system. GIS simply combines layers of information about a place, such as cloud cover and temperature, to better understand that place. 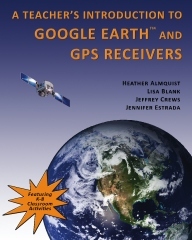 This book will help K-12 teachers become familiar with the basic features of Google Earth and GPS receivers so that they can bring these technologies into the classroom and provide their students with significant and engaging opportunities to conduct place-based research on diverse subjects with a spatial dimension. This book will walk you through the basic steps of navigating Google Earth, analyzing features, formatting and sharing placemarks, and organizing and sharing data. This book also covers GPS basics and outlines how to import the data you collect with your GPS into Google Earth. Each lesson is organized in an easy to follow step-by-step format making it easy to complete the activities. Each activity includes colorful pictures and graphics to help users understand the more complex features of the program. Users of this book will soon be creating their own virtual tours in Google Earth. As an added bonus, there are several teacher created lessons you can use in your classroom to help embed this transformative tool into your practice. Imagine that you want to show your constituents where they can buy fair-trade coffee, or represent to decision-makers the lack of doctors in a particular region of town. Perhaps you want to communicate the disparities of housing levels and heath indicators across different counties, or show the impact of polluted rivers on the surrounding environment. These things are hard to effectively convey in writing, but a map can be worth a thousand words. Enter GIS. 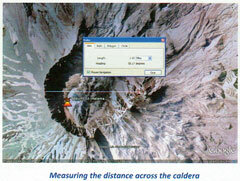 Geographical Information Systems provide tools to display and analyze information geographically. By layering information on top of a map, we can visually represent data in a way that can be readily understood by a large audience. Maps can reveal significant data relationships that are difficult to comprehend otherwise.